"Cause of our joy, pray for us." An unexpected structural detail worked into the facade of a very old building in a small private alley in Florence. 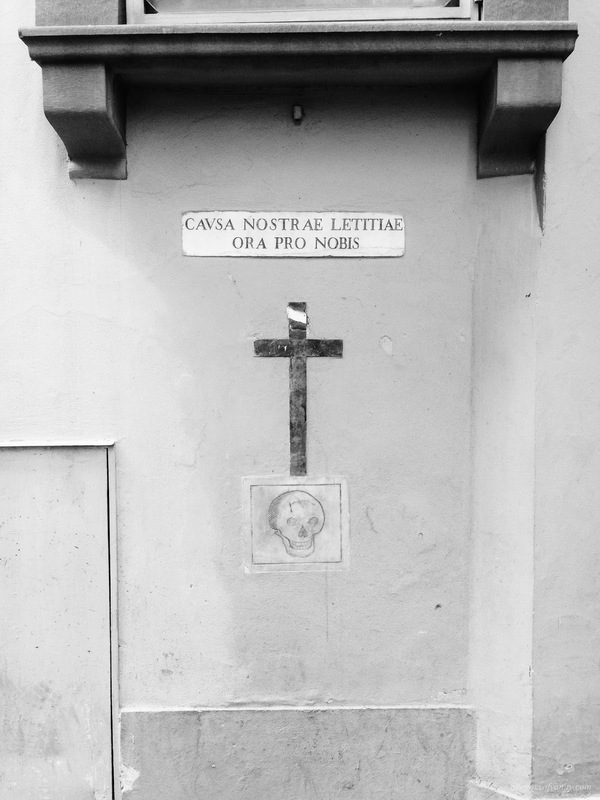 The buildings around Florence (and even around Rome, for that matter) are full of these little embellishments that often seem to serve a dual purpose: veneration and aesthetic inspiration.